Although there are several Sports Network around the world but one of the best and most popular one in Asia Is Ten Sports Live which has 5 sports Channels Including Ten Sports, Ten Cricket, Ten Sports, Ten Action Ten High Definition and Ten Gold. Ten Sports Network Is popular for showing many great sports events Live as well as recorded. It shows Live Cricket series of different teams specially West Indies, Pakistan, Sri Lanka and South Africa. It is also popular for showing World Wrestling Entertainment. beside that viwers can enjoy big football events as well like UEFA champions League, Formula One, US Open Tennis, Golf Events, Horse Riding and much more. Ten Sports Live provides variety of sports events Including Cricket, Tennis, Gold, Football, WWE, Formula 1. It was the first channel of Ten Sports Network. The Ten Cricket Channel of the network only shows Live Cricket matches and their highlights. ICC Cricket World Cup, T20 World Cup and other big Cricket Tournaments are covered by this channel. this channel has rights of showing Live matches of 5 nations Including Pakistan. Coppa Italia on it. Messi, Ronaldo, Ozil all In action can be viewed. Ten Golf Is for all the golf fans around the globe because It covers only Golf events. On it people may enjoy European Tour, Ryder cup and much more. Ten HD Brings all the sports events to you in High Definition which Improves the enjoyment of watching sports events even more. 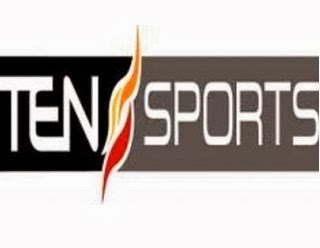 Ten Sports Live has headquarters In Mumbai India and its main Audience is located In Pakistan, India and Bangladesh. The picture format for the channels is 4:3 (576i, SDTV),TEN HD16:9 (720p) HDTV. you can enjoy it on many Satellites Including Dish TV, Big TV, Tata Sky, Dialog TVand Airtel Digital. The official website of the network can be reached here.